Perfect for an outdoor summer barbecue! So refreshing and delicious! 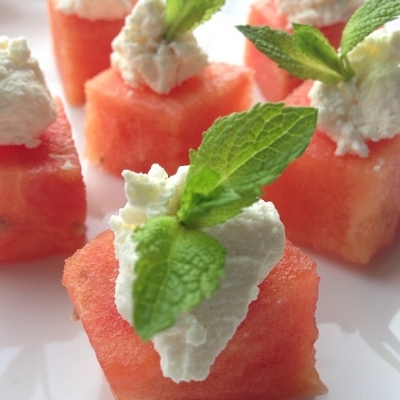 Cut watermelon into cubes, then top each one with 1/2 tbsp feta and a mint leaf!